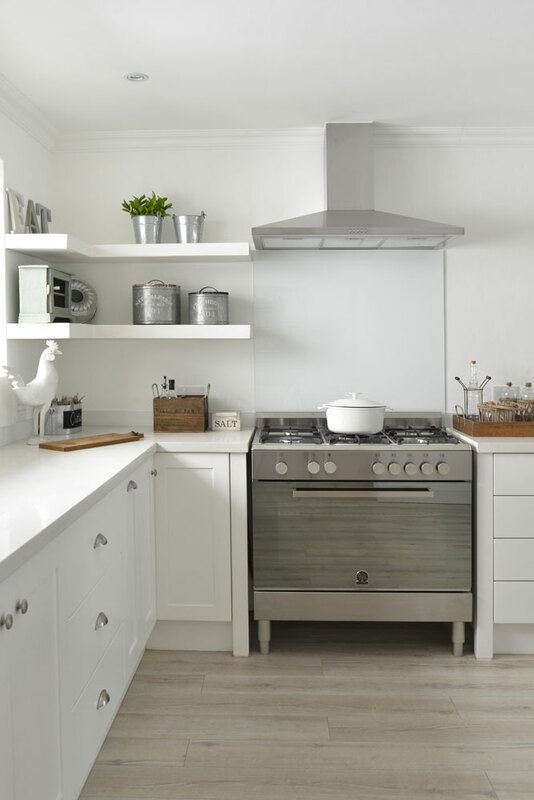 Tongue-and-groove panelling is ideal for a white kitchen. 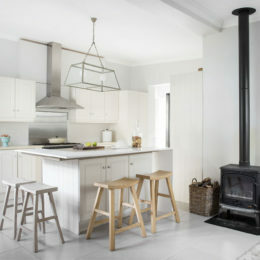 The subtle texture creates just the right amount of interest, as shown here in designer Natalie Bulwer’s kitchen. 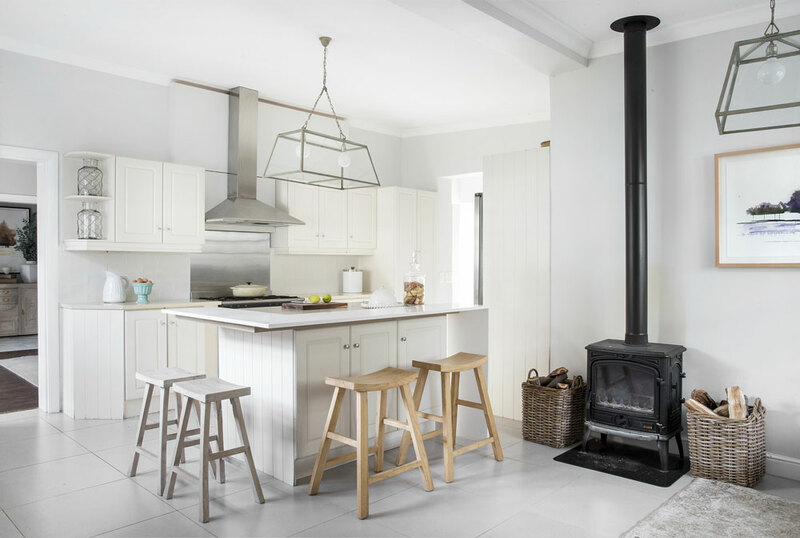 The all-white background has the effect of making ordinary shapes such as the stools and pendant stand out while the free-standing stove looks almost sculptural. 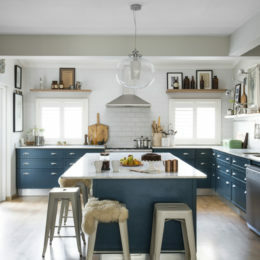 The only drawback is that you have to keep counter clutter to a minimum. 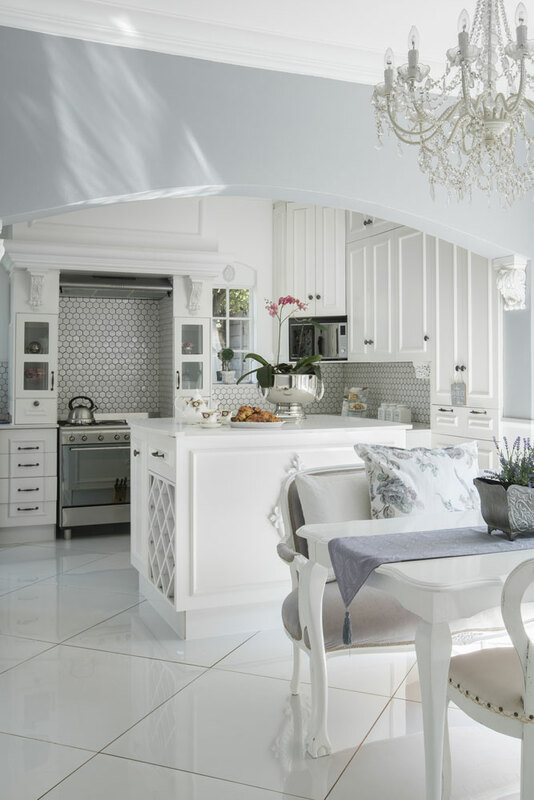 Painting rooms and furniture white is something Carli Prinsloo loves to do and her kitchen was no exception. 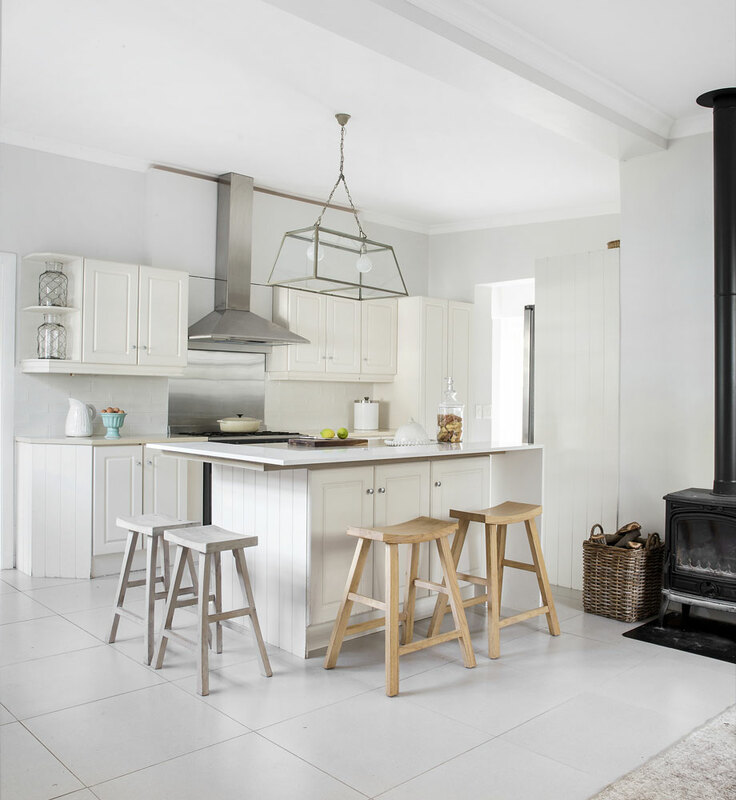 She and her husband Julian installed traditional panelled cabinetry and mouldings, all in white, to give the romantic French look she loves. 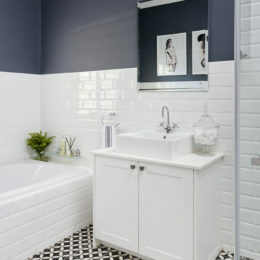 To prevent it looking too bland, they chose honeycomb mosaics for the splashbacks and placed the floor tiles on the diagonal. 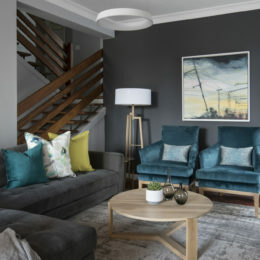 To highlight the furniture and chandelier, they painted the walls pale grey. 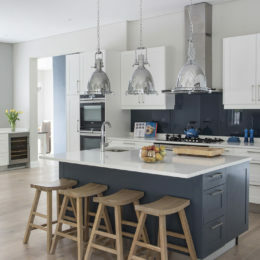 What makes this kitchen pop is the striking contrast between the white cabinetry and the black interior doors. 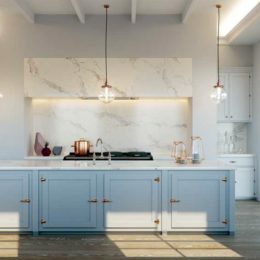 Enhancing the luxe feel is the large marble slab on the island and splashback and the interesting cluster of white pendants. 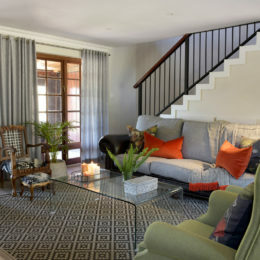 Decor by By Dezign Interiors. 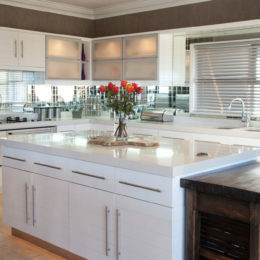 If your kitchen lacks natural light then white is the answer. Designer Shira Shalem chose predominantly white cabinetry to brighten her dark kitchen and reflect the light coming in from the skylight. 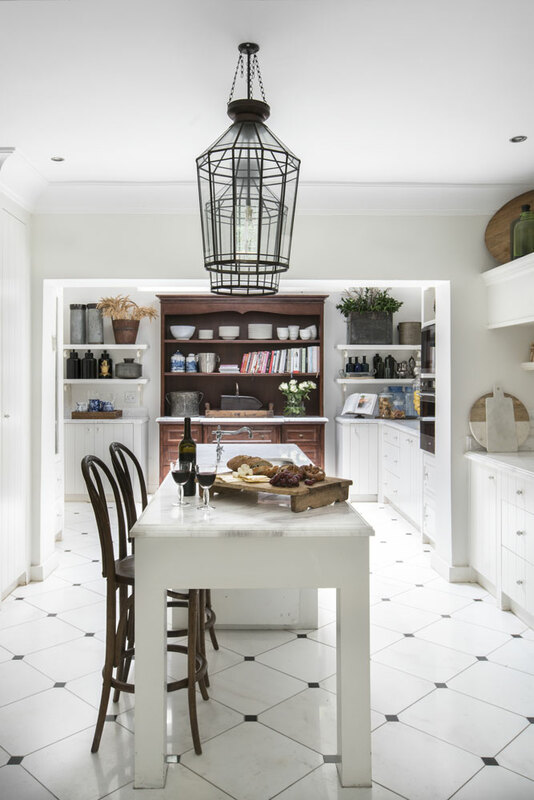 To soften the effect, she introduced an antique dresser, chose tiles with black insets for the floor and installed black lanterns to highlight the kitchen table. 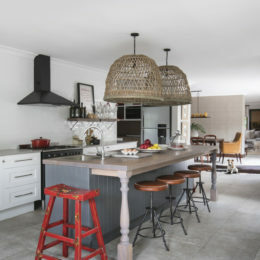 Traditionally, Scandinavian rooms and furniture combine pared down shapes with practical features. 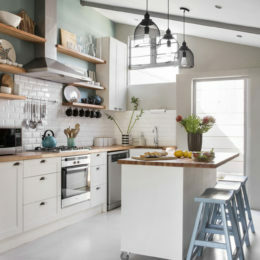 For this kitchen Nikki Lange of Design & etc. 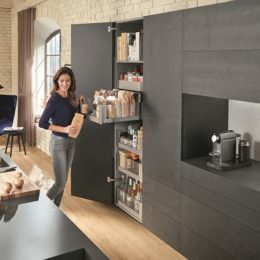 drew on these principles, combining streamlined cabinetry with simple pulls, open shelving and a pale wooden floor. The effect is clean lined yet inviting.